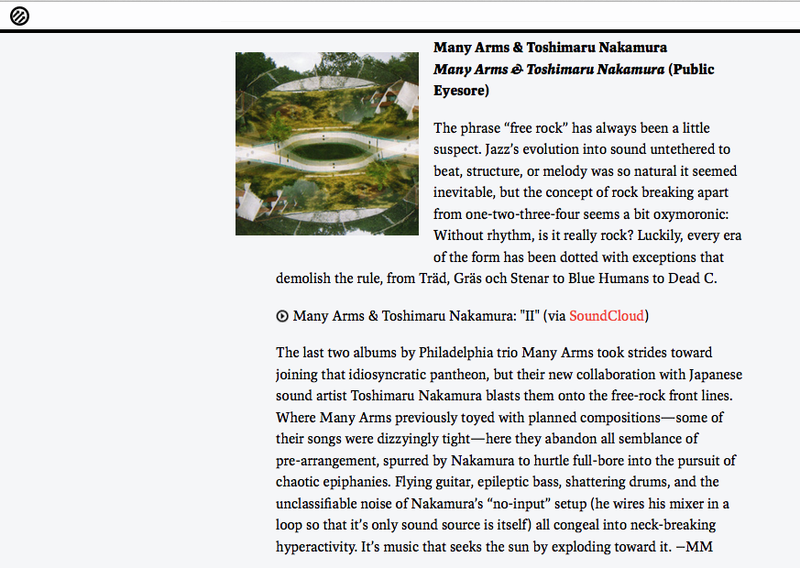 We're honored to be reviewed by Marc Masters in this month's The Out Door column over at Pitchfork. 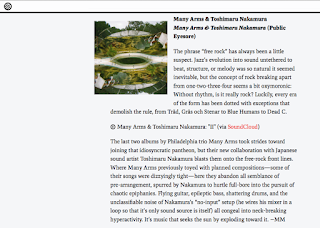 Marc gave the album a pretty serious description that I'm really into: "Flying guitar, epileptic bass, shattering drums, and the unclassifiable noise of Nakamura’s “no-input” setup (he wires his mixer in a loop so that it’s only sound source is itself) all congeal into neck-breaking hyperactivity. It’s music that seeks the sun by exploding toward it."